Jewish community visitors are offered special rates via The Brisbane Synagogue. Please click here for details. 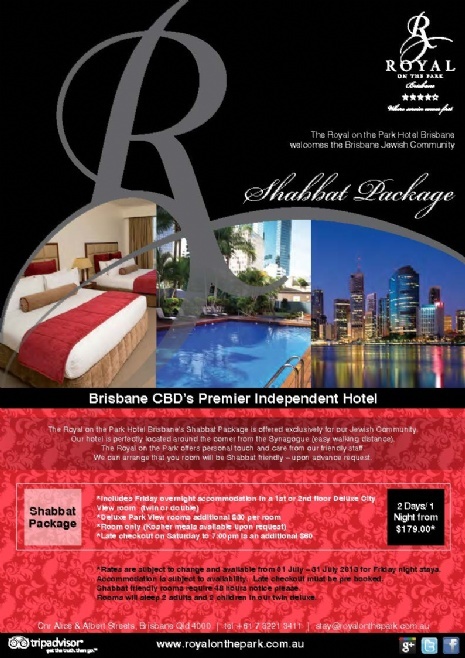 Info: This hotel is familiar with the various Shabbat requirements and if you mention the Brisbane Synagogue they will offer you corporate rates. Jewish community visitors are offered special rates via The Brisbane Synagogue. Insert Shabbat in email subject box when booking . 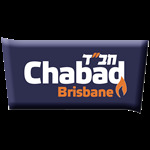 Jewish community visitors are offered special rates via Chabad Brisbane. Please click here for details. Info: This facility is familiar with the various Shabbat requirements and if you mention the Brisbane Synagogue they will offer you corporate rates.